Romance met glamour last Sunday to celebrate the marriage of Shirin and Brian. Merging Persian and Scottish heritage, the LUXE team chose a soft, romantic colour palette of dusty rose and pastels perched in traditional silver jugs. The wedding was such a personal and touching experience. Coming from different backgrounds, the ceremony involved both their cultures of Persian and Scottish. We helped decorate the sofreh table, which was of cultural significant to Shirin's family. 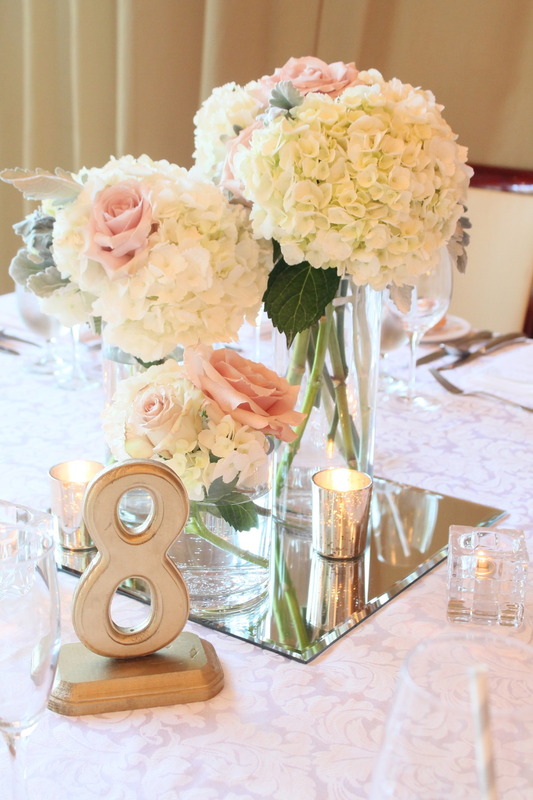 Hydrangeas and roses were settled in many silver ornaments across the head table and dining room. These silver components were from a collection of Brian's family. Mirrors were an important aspect of the decor because it symbolised the good fortune ahead. For this wedding, LUXE provided the decor direction and supplies, and all the florals. Below are some behind the scene shots of the event. Professional photos coming soon! To see some images of the bride & groom, we have professional photos on our Facebook page. Stunning couple they are! To Shirin and Brian, it was such a pleasure to be apart of your special day.